Home > Blog > How did bridging loans become such a large industry? How did bridging loans become such a large industry? Find out quickly some of the history of this financial product. The history of bridging loans is complicated. This is in part because the Financial Conduct Authority (FCA) regulates only a portion of the loans, so there is very little information publicly available on this topic. Especially the further back you look. But as bridging lenders became Members of the Council of Mortgage Lenders, and industry bodies formed, more information followed. As we reach the present day, the picture becomes a little clearer, and the answer seems within reach. Let us explain. "Bridge loans... remain relatively obscure in a lending landscape dominated by more widely publicised home equity loans and lines of credit." Indeed the market share was very small. Around this time, one large US lender said only 140 of its 240,122 mortgage loans were bridging loans. And another lender, Continental Savings Bank closed on average just four bridging loans out of 775 total mortgages each month. By the late 2000s, lenders around the globe had begun to provide the loans under more circumstances. This included areas such as corporate finance. One documented example comes from December 2010. The American firm Kohlberg Kravis Roberts (KKR) and partners marketed a bridge loan for its upcoming acquisition of Del Monte Foods. KKR planned for the newly private company to borrow money by issuing corporate bonds. But to ensure the money would be available, KKR also sought $1.6bn in bridge loan guarantees. The increase was not just in the US. Indeed in the UK, bridging loans had also begun to see rapid expansion; in October 2011, the total value of bridging loans increased 45 per cent compared to 2010 – to £806m. Many attribute the rise to landlords, who began to use the loans in connection with buy-to-let properties, mixed with the fact that the banks were taking on less risk. Speaking at the time Teresa Hunter, said: "The figures suggest that the rapid expansion of the bridging industry is due to the gap left by traditional high-street lenders as they have retreated from the mortgage market since the credit crunch began." Indeed this increase in the use of bridging loans and their use as a viable solution to a financial issue for many other situations, has seen their steady increase up to the present day. What is next for bridging loans? 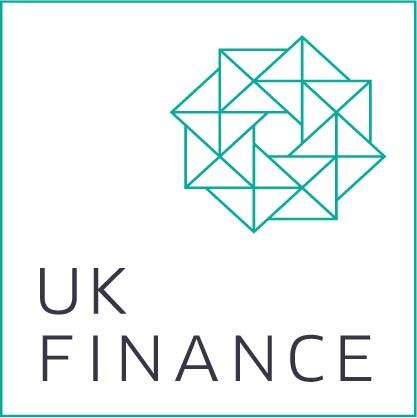 In October 2014, an industry body revealed that the bridging loans market was now at £2.2bn in the UK. In those 12 months, lenders advanced £2.2bn in loans - which is a record - up from £1.8bn in the previous year. Most industry insiders expect the upward trend to continue. It seems that as a practical and fast option for finance, being available to help in a number of circumstances, the bridging loan is here to stay. Looking for a bridging loan? From Affirmative you can borrow between £10,000 and £5m. Your loan can be ready in hours, secured against an existing property as a first charge. Typical APR 28.9%. Find out more. For more about fast finance call our Manchester office on 08000 44 84 84.